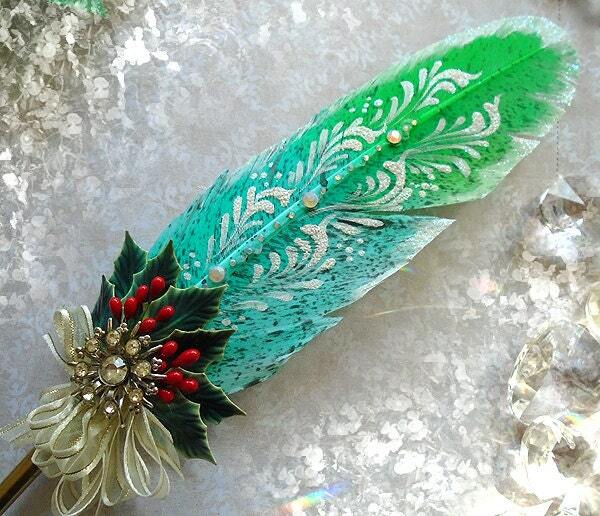 This quill was crafted out of a beautifully painted turkey quill & decorated with vintage holly & berries with a gorgeous ice crystal focal. 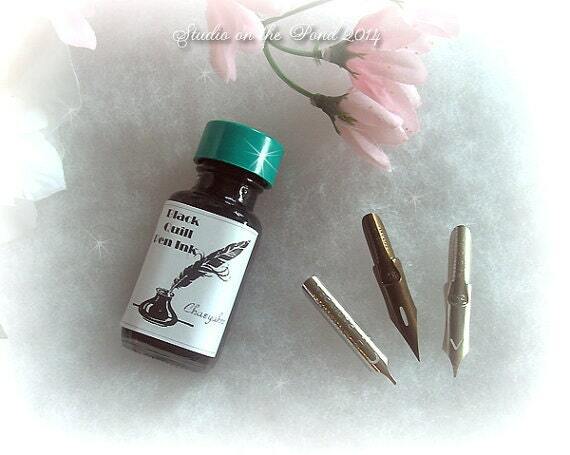 The pen is 14+ inches long, and is equipped with a custom golden ferrule which will allow for the inter-change of nibs when writing or illustrating, The quill has been painted in faerie dusted white, and no two of these pens will ever be the same due to this technique, accented with a wispy purple ostrich plume. This is an exclusive CSD design, and is of course one-of-a-kind. This pen comes with ink, extra nibs, gift boxed, and complete with our CSD studio certificate of authenticity. 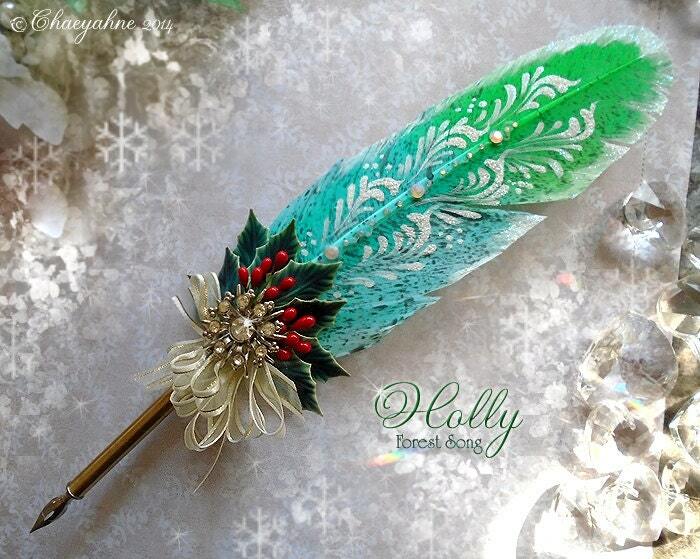 All images, graphics, and content in relation to ChaeyAhne's Artistry & Designwork, INCLUDING wording etc., within the Enchanted Quills Etsy store are ©ChaeyAhne SilverFox Designs, 1983-2014. All rights reserved.